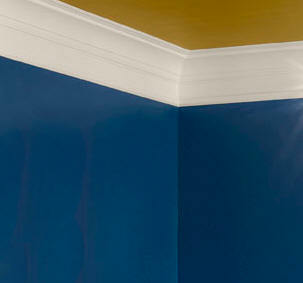 How do you know if it's worth it to hire a professional painter? After all, you can do it yourself, right? Consider the size of the job, and the tools needed. Do you have extension handles, ladders, tarps, tape, furniture protection, in addition to your paint brushes and buckets? Do you know the different primers and preparations needed for the type of paint you are using? Is your work area properly ventilated? Do you have children or animals that will interfere with the project? Do you know how much paint will be required? How will you deal with the difficult areas? Vaulted ceilings, corners, behind appliances and heavy furniture. Are you working with textured brushes and rollers? Consider the value of your time. Expect to spend a considerable amount of time at the paint store, prepping the walls, or surfaces to be painted, moving and covering furniture, taping off corners and edges. Don't forget the clean up of paint brushes, and putting your room back together, then storing or disposing of leftover paint! A professional painter does this everyday and is much more efficient with the prep time and clean up time, and the paint job. A job that may take you days or even weeks to complete can be wrapped up in just a few days with a professional.